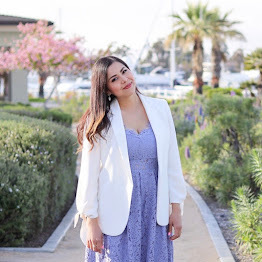 The Nordstrom Anniversary Sale is a big deal not only for us usual shopaholics, but for savvy shoppers due to the highly discounted prices on amazing brand name items. Typically when prices are slashed by this much, it is because the items are on their way out (from previous seasons), but with the Nordstrom Anniversary sale, it's the other way around. For a limited time you can shop Pre-Fall 2015 products both in store and online at highly discounted prices. These are items that are totally on or ahead of trend, and will go back to full price when the sale is over on August 2nd (which will be a sad day). It's time to nab any items that you may have been eye'ing, like this Michael Kors watch that is down to $166 from $250, or this adorable Kate Spade Crossbody now $98 from $150. You'll notice that my picks are pieces that can live in your closet for many years, (hello, I still have my MK watch after 4 years!) and beauty items I have been coveting for a long time. If you're not a Nordstrom card holder here's a sneak peek of all my faves- make sure to get your hands on them on July 17- August 2nd! lovely picks pau, i love that tb bag!